In it's second year, Inclusive Innovation Week was proud to partner with organizations and businesses to celebrate events and collaborations centered on community, technology, equity, arts, business, entrepreneurship and more. We appreciate our partners for making the week of events possible and echoing the message of inclusive innovation year round. 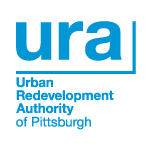 On Thursday, November 10, 2016, the City of Pittsburgh, the Urban Redevelopment Authority, and the Pittsburgh Downtown Partnership hosted Inclusive Innovation Live! 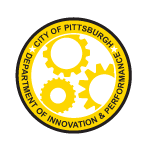 This event highlighted the year one progress of the Roadmap for Inclusive Innovation and showcased startups companies beta testing their products, services, and ideas in two new Pittsburgh startup programs PGH Lab and BetaBurgh. Pittsburgh Mayor, William Peduto, City of Pittsburgh Councilman, Corey O’Connor, City of Pittsburgh Debra Lam, Chief Innovation & Performance Officer, City of Pittsburgh Jeremy Waldrup, CEO and President, Pittsburgh Downtown Partnership Grant Ervin, Chief Resilience Officer, City of Pittsburgh Ani Martinez, Program Associate, The Sprout Bill Gearheart, General Manager, TechShop Pittsburgh, and Jennifer Wilhelm, Manager of Innovation and Entrepreneurship at Urban Redevelopment Authority. 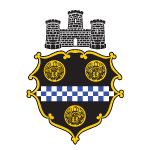 On Tuesday, September 8, 2015 the City of Pittsburgh, the Department of Innovation & Performance, and The Urban Redevelopment Authority launched the city’s Roadmap for Inclusive Innovation. Attendees included city officials, leaders in the tech industry, higher education leaders and local nonprofits. The Roadmap for Inclusive Innovation is a living document; as resources become more available, and partnerships made clearer, there might be new ideas that come in that can be incorporated into the roadmap.